This dot paint craft with printable is a lot of fun. 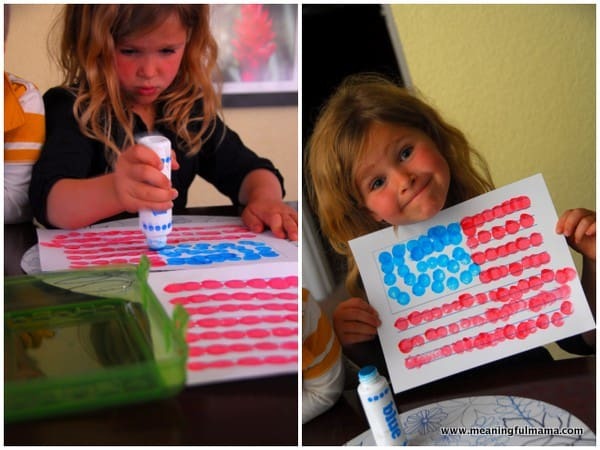 It is an easy kid craft that makes a beautiful American flag. The Fourth of July is quickly approaching. I definitely wanted to give you some ideas for making this holiday special. 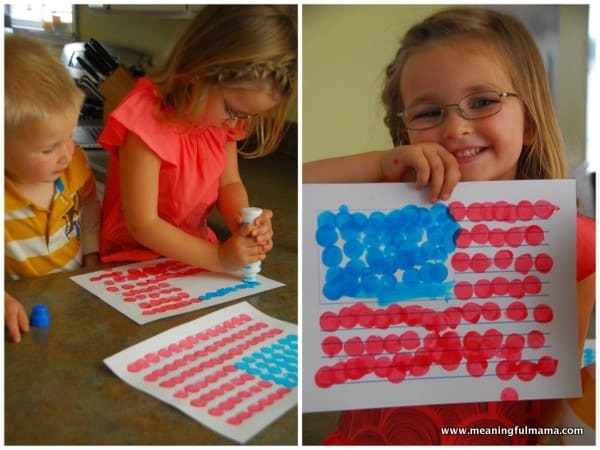 If you have dot paints, this is going to be so easy for you to do with your kids. All of my kids, age 2 to 5, enjoyed this craft. 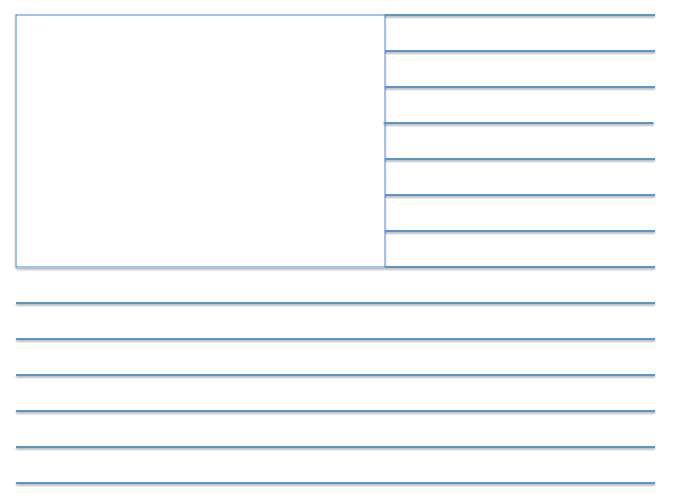 I made a printable for you so it would be really simple. I printed it out onto stock paper. Corban actually did better than I thought he would. He started out really staying in the lines then started to do his own thing a bit. Then, Kenzie came along side and wanted to help point out where to put the dots. Kenzie did pretty well on her own. She could stay in her lines when focused, but she’d sometimes start to veer as her attention waned. She did really well though and did enjoy the process. Abby enjoyed this craft too. It seemed right up her alley. 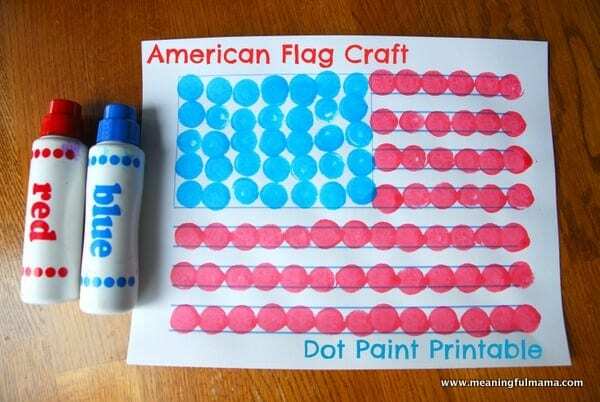 This would be a very simple craft to have available at your Fourth of July party. Just print out a bunch of these onto stock paper, make an example and set out the paints. Easy set up and easy clean up…perfect for a party. 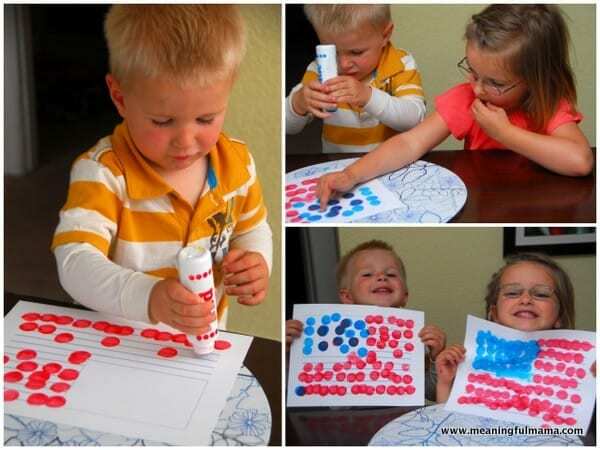 Perfect for fourth of July, My kids LOVE their dot paints! We would love for you to share at our first Super Summer Saturday party here: http://www.thechirpingmoms.com/2013/06/super-summer-saturday-party.html! Thanks for letting me know about your link party. I have a crazy week, and I won’t be able to get to it…not even doing my regulars for this week. I’ll keep it in mind for the future. What a great craft! I’d love it if you’d share this at the After School Linky Party on my blog right now (and every Monday): deceptivelyeducational.blogspot.com. Thanks! Thanks so much for sharing. I’m glad you like it. 🙂 It’s a good reminder to print some out for my family to do in the next couple days too! Thanks!